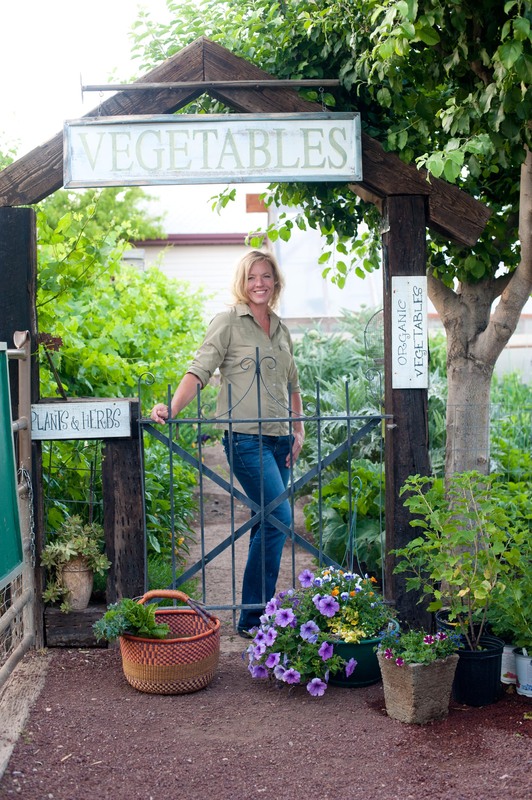 ← With the Emergence of Spring Everywhere, It’s Time to Plant! Well how hard can it be? Just toss it in a pile and let it sit right? Sure you can, but if you want to use it without the burn, or wait a year or more, you might want to take a few more steps to get it right! Chicken manure is high in nitrogen and is dangerous to plants if the manure is not composted properly. The composting process allows time to break down the more powerful nutrients so that they are more useable by the plants. Depending on how diligent you are, composted chicken manure can be ready in as little as two months or if not so diligent, up to nine months. When chicken manure is just piled up dry and left to sit, it will do just that, sit! While the outside may get wet from sprinklers or rain, the inside of the pile will remain very dry. The outer layer will form a crust and not let water penetrate. You must have all the manure moist in order to begin the break down process. You can use straight chicken manure, but I prefer to add other composting matter to the pile, this way it won’t smell like it would if you just used chicken manure. Things like leaves, grass clippings, garden or kitchen scrapes. You know, organic matter! Simply start to pile your manure in layers and sprinkle every layer. Chicken poop, leaves, water, chicken poop, etc. Add a couple of cups of blood meal or cottonseed meal to the mix (for a 3x3x3′ pile). I know…it would seem that it wasn’t necessary, but it really does speed up the process! Turn the pile to get everything mixed up. If you want finished compost sooner, turn the pile every few days. If time seems to be few and far between, try every week or even every other week. Just remember the less you turn the longer the process will take. If the pile seems rather dry, sprinkle it with water while turning. If the pile gets to wet and becomes stinky, you can spread it out and allow it to dry for a few days. 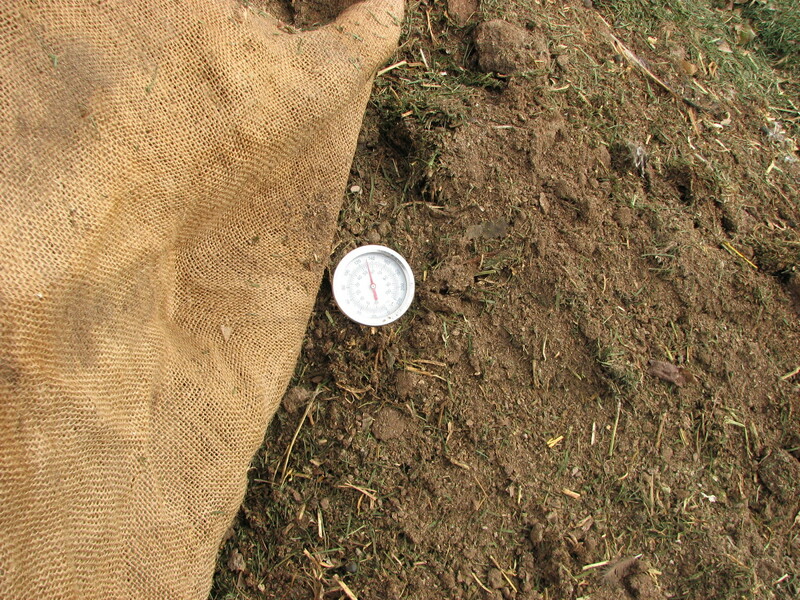 You can use a compost thermometer to gauge how hot your pile is getting. A temperature between 140 and 160 degrees is the optimum temperature range to break down pathogens, weed seed and get the decomposition really moving! When the pile no longer heats up after turning, you know your compost is getting close to a finished product. It should be dark and smell like earth. Clean earth! It’s time to add that black gold to the garden. Till or spade the compost into the garden beds or use as a side dress for plants. Chicken manure compost is full of nitrogen, it contains a good amount of phosphorus and potassium making it excellent for your veggies to grow in. Thank you for the clarity on how to use Chicken manure b/c I was wondering and would have put it right in the bed dried up not realizing it needs to be composted first ! I would suppose the same goes for cow-goat and horse manure.s too… canyou use horse manure ?? Yes! all manure should be composted first so it doesn’t burn the plants or rob them of nutrients. It can be add straight into the garden if it has several months to mellow in the soil and break down. Such as all winter long. Rabbit manure on the other hand can be sidedressed fresh! It isn’t ‘hot’. You just confirmed what my recent research has been indicating and that is “Chicken Manure Compost is natures most complete tomato plant food/fertilizer”. I am currently experimenting with growing in home made 6 gallon self watering bucket pots which is different than growing in a garden. I will be adding the compost to the store bought potting mix at a very conservative ratio of about 3 quarts per container and see how it works out. we would love to hear how it works! Yes, growing in containers is very different then in the ground! Some things are better, but some things can be difficult! Happy Gardening!! You can do that or you can sprinkle a little water to help it break down a little and by the time you have enough chick poo, go for the gusto! It won’t matter either way!